The north Aegean also has the advantage of sufficient water, allowing for green and fertile islands, with lush vegetation overlooking those enchanting anchorages which are abound in these waters. The most important yacht charter base is Skiathos Marina, but you can also charter a yacht from Volos or Thessaloniki. More info on charter companies. Skiathos offers also the possibility of family flotilla sailing, but it is not known for blue cruises or gulet charter holidays. 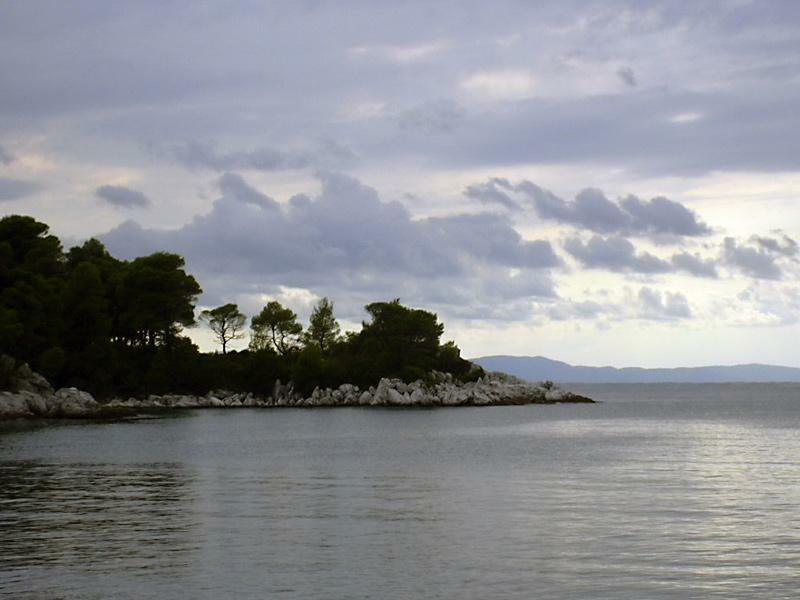 The photo shows the cape just south of Loutraki, which is the sea port of the nearby Glossa village on the west coast of Skopelos island.